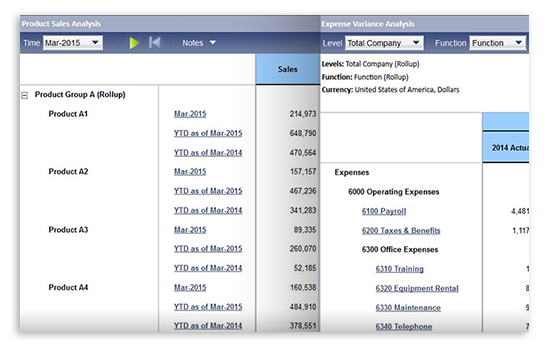 Intuitive and interactive self-service reporting and financial analysis empowers finance teams and managers to distribute board reports, drill down into details, and slice-and-dice management and financial reports with speed and ease. 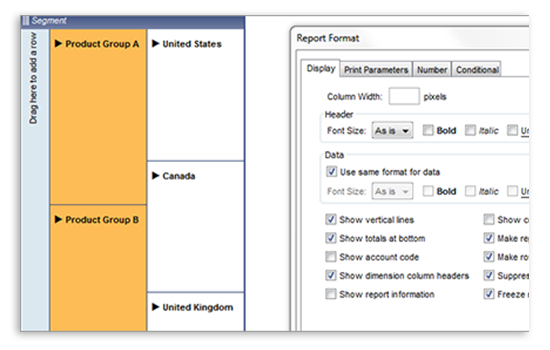 Create personalised, ad hoc reports quickly and easily with intuitive drag-and-drop web reporting. Slice-and-dice the reporting across dimensions and metrics, and instantly generate and share up-to-the-minute management reports and insights with your team. 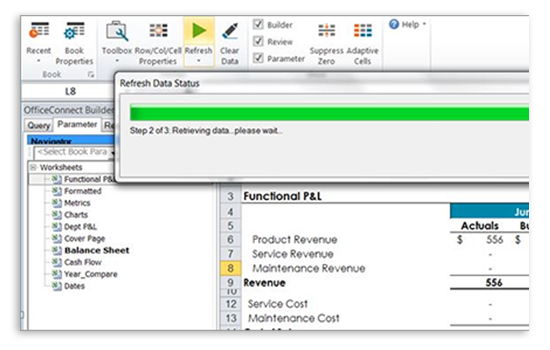 Use Microsoft Word, Excel, and Powerpoint to create beautiful, dynamic, high quality reports, board books and presentations – completely connected with Adaptive Planning and Adaptive Consolidation, refreshed with your latest data in one click. With financial intelligence built into the core of our financial reporting solutions, you can monitor and report on variances and select parameters – as well as output to any format (including HTML, PDF and Excel). Drill down into a report or planning sheet and get instant transparency info transaction details – creating transaction reports with just one click – at the level of detail you want, with the right context and fields you need.